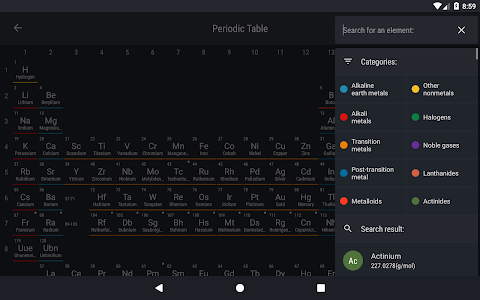 In the Periodic Table application you will find a huge amount of data about chemical elements for free. 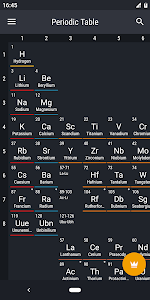 You will learn a lot of new and useful for yourself, no matter you are a schoolboy, student, engineer, housewife or a person of any other provisions that does not have a refresher to Chemistry. 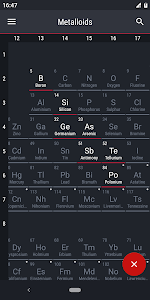 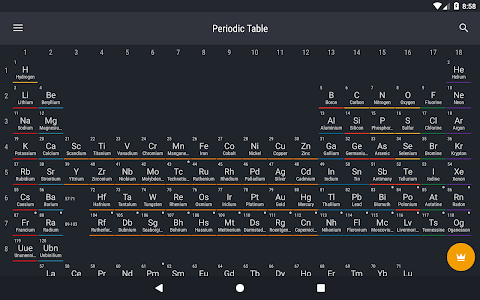 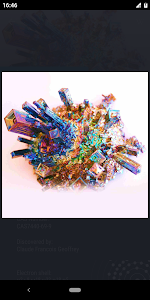 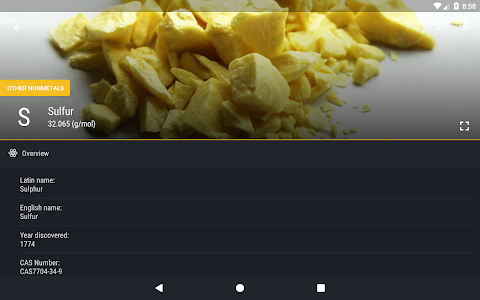 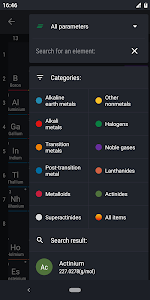 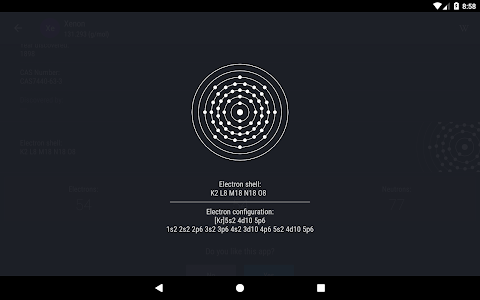 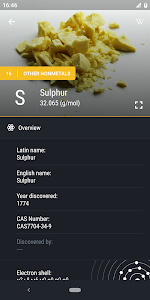 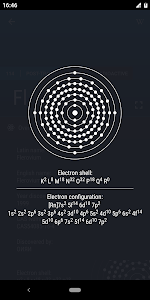 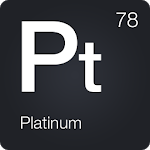 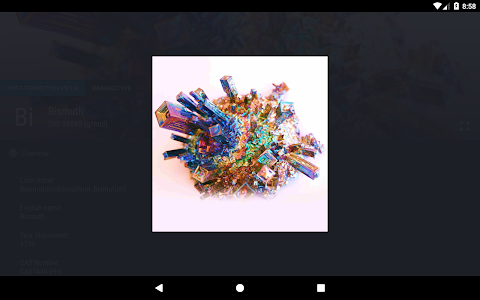 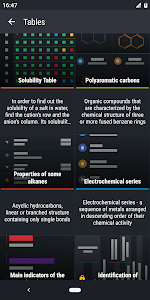 Periodic Table - is a free application for Android which displays the entire periodic table at startup interface. 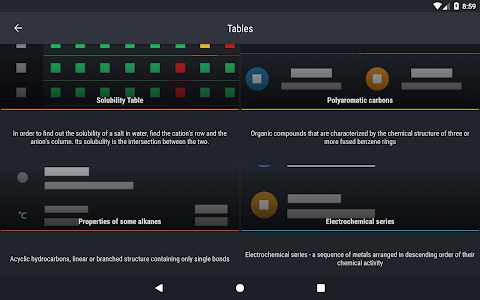 The table has a long-form approved by the International Union of Pure and Applied Chemistry (IUPAC) as the core. 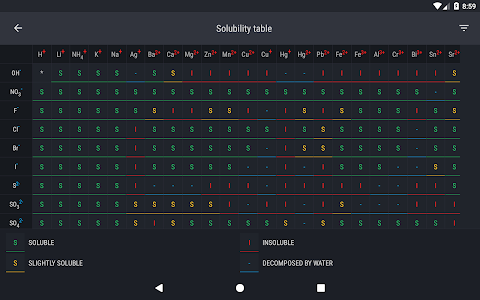 Besides the Periodic Table of chemical elements, you can use the Table of solubility. 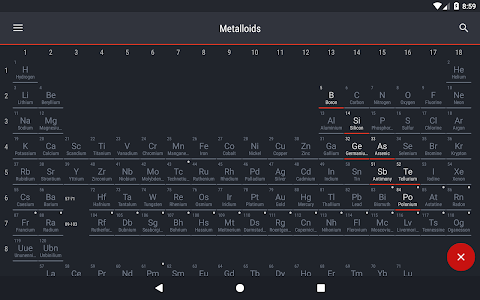 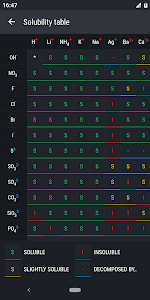 Similar to "Periodic Table 2019 - Chemistry"